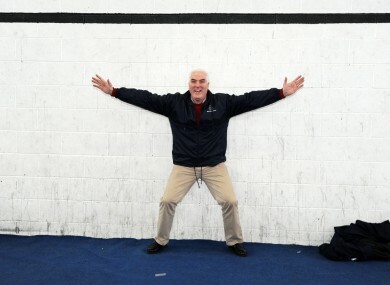 Ben Gilroy at the Meath East by-election count in March. BEN GILROY, THE Direct Democracy Ireland candidate who came a surprise fourth in the Meath East by-election, has been referred to gardaí after failing to file details of election donations and expenses. Gilroy, who picked up 6.5 per cent of the vote and finished ahead of Labour’s Eoin Holmes, has said that he has spoken to gardaí and intends to file his donations and expenses statement to the Standards in Public Office Commission by the weekend. SIPO said it has received no communication from Gilroy or his election agent Conor Delgarno – both of whom have been referred to the gardaí – and declined to comment further. However a spokesperson did confirm that Gilroy would be entitled to be reimbursed for his expenses once he files them, even though he missed the deadline of 22 May for relevant, statutory documentation to be submitted. SIPO has also revealed that one candidate who did not disclose his expenditure in the 2007 general election, the 2009 local elections as well as this year’s by-election will not be referred to the gardaí or the Director of Public Prosecutions. Despite breaching the law on disclosure three times Independent candidate Jim Tallon, who received 47 votes in Meath East, will not be referred to authorities this time as the DPP had previously found that “the public interest does not require a prosecution”. Tallon has run in several elections in several constituencies since 1981. He was previously a candidate in the 2011 Dublin West by-election where we reported on his unusual portrayal of Knight Rider. The figures released today show that a total of over €106,000 was disclosed as having been spent during the by-election which was won by Fine Gael’s Helen McEntee. Candidates were limited to spending €31,150 each with McEntee spending the most – €29,842.59. Second placed Thomas Byrne, Fianna Fáil, spent €28,913.57. Despite finishing fifth Labour’s Eoin Holmes spent €23,988.64 and third placed Darren O’Rourke, Sinn Féin, spent €15,450.85. With SIPO rules stating that any donation in excess of €600 must be disclosed, there was just one disclosure with the Workers Party’s Seamus McDonagh saying he received a €763 donation. A total of €34,800 will be paid by the Exchequer to the four candidates, McEntee, Byrne, O’Rourke and Gilroy who qualify for the maximum reimbursement of €8,700 having received at least a quarter of the quota. Gilroy’s payment will be delayed until such time as he files his documentation. Email “By-election candidate referred to gardaí over election expenses”. Feedback on “By-election candidate referred to gardaí over election expenses”.